You may very well have seen us Tweet this image (pictured) if you’re following us on TWITTER. If not, this is precisely what our fab readers had been playing along at home for last week. One of ten signed copies of Johnny Ruffo’s gold-selling debut single ‘On Top’. We were smothered with entries from across the country (and a couple from across the world), all wanting to get their mitts on the booty. But given we had just ten copies, there can be just the ten winners. Congratulations ladies and gents! 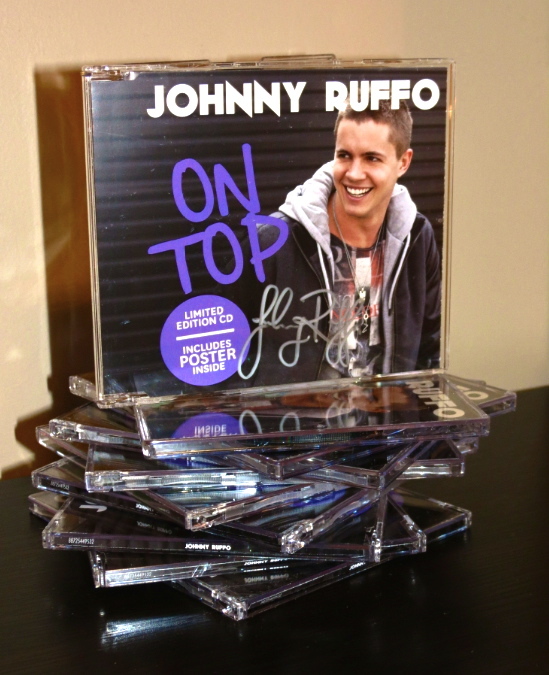 You’ve picked up a signed copy of the Johnny Ruffo CD single ‘On Top’ with thanks to Sony Music! A copy will be winging its way to your place in the coming days. Thanks to all who entered. But don’t forget – there are other brilliant prizes up for grabs in the sidebar, so go! Conquer! Enter!